The super bowl promises to be a slug fest. Lets see what happens. Should College Athletes Be Paid Or Form Unions? Just wrote a piece on Kain Colter, Northwestern quarterback’s effort to organize and form a players union. Their ar many different takes on this. 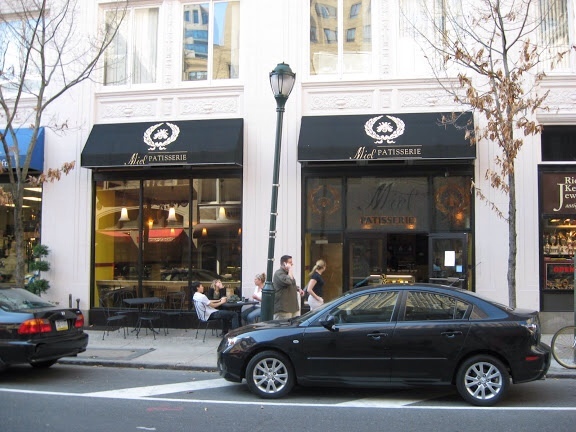 Interesting concept as well. However this is a discussion that needs to happen, given the low graduation rates at colleges across America. Thoughts on this subject are many and diverse. Link to the article is below. 42, something told me that I needed to get this movie. Never mind that it was not nominated for any academy awards. As I sit here watching I'm not sure that a movie about Jackie Robinson would move the needle. I've seen other movies about this pioneer, someone that I respect, so I just did not have high hopes for it. I brought the DVD from Best Buy, I believe I paid $19 dollars. I brought two movies that day. The other movie was Captan Phillips, contrary to popular opinion, I believe the best actor in that movie was Tom Hanks. It was a good movie. Okay back to the movie. 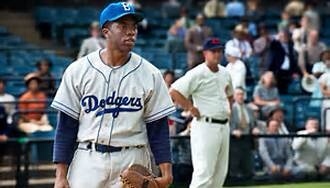 The stars in the movie were Chadwick Boseman as Jackie Robinson, Harrison Ford as Branch Rickey, Dodgers President. Contrary to some less than stellar reviews, fom the moment I saw the first few scenes, I felt that it was in fact powerful. Branch Rickey was a trailblazer, and someone who had the courage to do something no one else had the courage to do. Sign the first black player in baseball. The movie did not tell the entire story focusing on Robinson's early career with the Brooklyn Dodgers. However it was a story of baseball and race and how when people understand each other, they can come together. If you have not seen the movie, be sure to get the DVD. Best Buy has it for $19 dollars. You have a problem. No it’s not in Houston, but it seems to dominate your thinking, causing you to to lose whatever tread of control that you think you have on this earth. You seek advice from many success experts, possibly the one that sits next to you at work,they seem to have it going on. But no, that’s your mind playing tricks on you with thoughts like that. Compliments of the enemy. No need to waste your time on fads or devote your lunch time to the latest best seller or the iPad. Save yourself a lot of time and buy yourself some peace. Look to the “Word”. Spend time in God’s Word each and everyday. Look to Jesus and the Cross. A Magnificent thing was done for you there! Cash in on Jesus’gift today and pick up the book that’s filled with the WORD, The Holy Bible. The absolute #1 best seller ever. Leadership is a gift, yes God may have given you this power, but not in the way that many think. You see leaders have a specific task to lead with compassion understanding and trust. Those who serve under leaders have a task to be trustworthy and loyal, no matter how dysfunctional the culture and leadership may be. Those who follow leaders can learn from each and every situation, not so much of what not to do when you become a leader, but your obligation is to search your inner thought processes and ask yourself the following. Will you lead with compassion? Will you respect leaders even though they have not earned your respect? Will you check ego and power at the door and be willing to truly identify why God has you in this situation and how he wants you to lead? Will you interact with others truthfully and honestly? Electing a president is one of the most important decisions an American can make. Whats at stake is the very future of our country. Policies will be voted on. Laws will be put forth and voted on in the House and Senate. While future foreign policy will be developed and implemented. All this will be implemented over the next four years and it will effect the American people for many, many, years to come. In short the very future of America and its people is at stake. Why would we not consider observing a holiday on election day? This would enable all Americans to go to the polls to vote. In plain words. We need to move out of our confront zone. I’m not speaking about any specific issues or conditions, howver we all need to act. What does the Comfort Zone Do To Us? Shields us from problems that we would normally react to. Stops us from facing issues regarding injustice, that we would normally not tolorate. Blinds our eyes so that we cannot see problems that we would be ashamed of. Covers our hearts so we have no regard for our fellow woman and man. Allows us to place blame on the victim and immobilizes us so we will not act. Causes us to horde our resources rather than move to help others. One thing the confort zone want do to me. I will not stop me from writing about the love of Jesus and how His love will give us the courage to act. Do you have the courage to act? Will you act too? You can act right here right now by writing about the aspects of the human condition that must be changed. I can do better!!! Will you use your platform to make a difference and make this world better for everyone? The things of this earth occupy our minds, particulary to the point that it absorbs us, and distracts us from our purpose. To every man there is a purpose, that is to know The Lord Jesus and seek His word and understand that He is in us and we are in Him. That is our purpose. Not some unobtainable earthly goal, but rather to be more like Christ and to honor Him in this way. Know this, you will enjoy unspeakable riches if and when you do this, nothing can quench your thirst for the good life here on earth and beyond than to know The Lord Jesus and live according to His purpose! 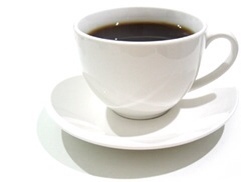 Have you ever found yourself viewing a potential new hire as not quite good enough? Have you every found yourself saying, that you know a person, he a good person and everyone seems to like him, but somehow you just don't like him. You have no reason, he's certainly been nice to you, but you just can't accept him. Is this you, do you find yourself feeling uncomfortable about this person, yet have no reason? Is this person of another race, black, asian, latino? Does skin color sometime make you feel uneasy? Is this you? What is it that bugs you about the person? You know he does good work, he is polite with everyone. No one has a bad thing to say about him, but you just don't like him. Others in your circle of friends feel the same way, however is anyone in your circle of friends like this minority. Yeah but you say I have an asian friend and a black friend that I talk to each day at work. In your mind this gets you off the hook, why, because you talk to a minority at work so that makes you all inclusive. Never mind that you don't have these individuals in your life other than brief encounters at work. Yeah but, I give to minority causes , like starving children in Africa……well said! Do you often say…”I know I don't have minority friends in my life, because they are unapproachable.” Do you feel bad about your feelings? I doubt if you would say no, because every now and then, it bothers you. You know why? Because God is convicting you for your dislike of a person, for literally no reason. He is convicting you for not reaching out right here at home to a minority and not hide behind your feelings by donating to African relief, primarily beacuse it make you feel better. I'm just saying! Everyone needs to feel a little uncomfortable from time to time……. it for a specific purpose. My father was an African Methodist Pastor and minister at AME Churches in Kentucky and Tennessee. Throughout his 55 year career he pastored 9 churches and served as Presiding Elder in the West Kentucky District and the North Nashville District. 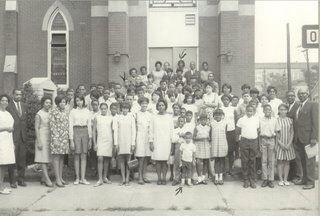 The picture below is vacation bible school, Louisville, Kentucky, I believe in 1968. My father is second from left, first row.